BTW, I would really like some feedback so if you think of any suggestions or thoughts, please leave a comment. However, if you can't be constructive, please don't be offensive. Please remember that this is a 1/72nd scale model and that the pictures on here are 200% life size so expect it to look a bit gritty. However, it is proving to be quite enjoyable. I have broken one piece of resin (the base of the seat for the Radar operator at the back. The block underneath was too high for the seat to fit under the headrest so in cutting it back, I smashed the seat. I have painted it as if it was there and and I am sure that, once the canopy is on, you will not be able to see it. There really is a difference between the Pilot and Radar op. seats against the Navigator - he didn't get a leather back to his seat - the other two have a red/brown back but not him! The seat belts are just Tamiya masking tape painted and cut to size; then a touch of silver for the buckles. Again, this is 1/72nd! The white is the residue left from the accelerator that I used to speed up fixing the rear cockpit as it wouldn't stay in place. I spent Friday afternoon and evening removing all of the main Gannet parts from their moulding blocks and cleaning them up. Then, this morning, following instructions from Ken, I gave everything a dose down with Cillit Bang degreaser with a good scrub with a tooth brush. This gets rid of all of the release agents, etc. that get onto the surface of the resin and stop glue and paint from adhering. The small parts are wonderfully moulded and were extremely easy to clean up. Here is a shot of all of the parts for the fuselage. I am very impressed both with the detail and with the fit of the parts. I am going to give everything a coat of primer later today. Because I have had such good results with it, I am going to make that first coat one of black primer. This will suit the cockpit and the upper surfaces. I will then use it as pre-shading for the lower half of the body, which is going to be in Sky - 'Duck Egg Blue' - 'Duck Egg Green' as it is variously called. I will put some more shots up when I have done that. I am still wary of the gluing up process as you all know my love of super glue. However, the Gator's Grip is a quick grip, slow cure, acrylic glue and will be better for gluing the major components together. I just need to be patient. 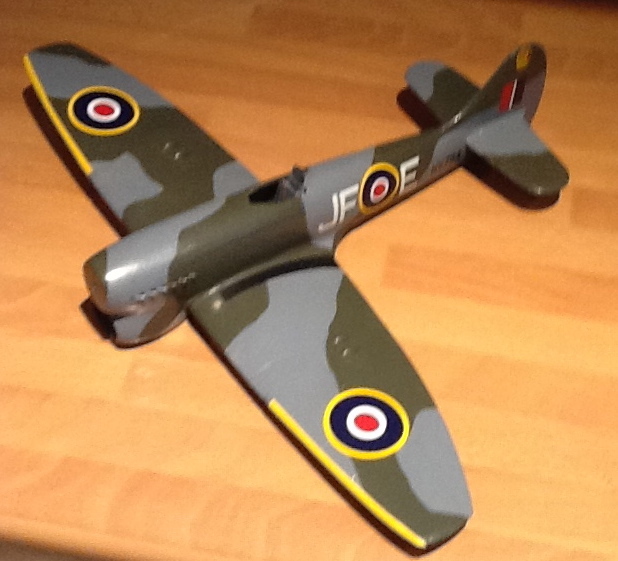 This is why I am doing this alongside the Admiral Seafire -so that I have something else to do whilst the glue sets. You may well ask 'where are the wings'. Well, as I have mentioned, I have the wing fold set. This is a complete replacement for the deployed wings that come with the kit. However, it is very complex so I am keeping my options open on this. Having ranted and raved and cursed about resin over the last couple of years and vowing to avoid all kits that have it in their make up, what am I doing? Well, just a Czech Master Resin Gannet COD. 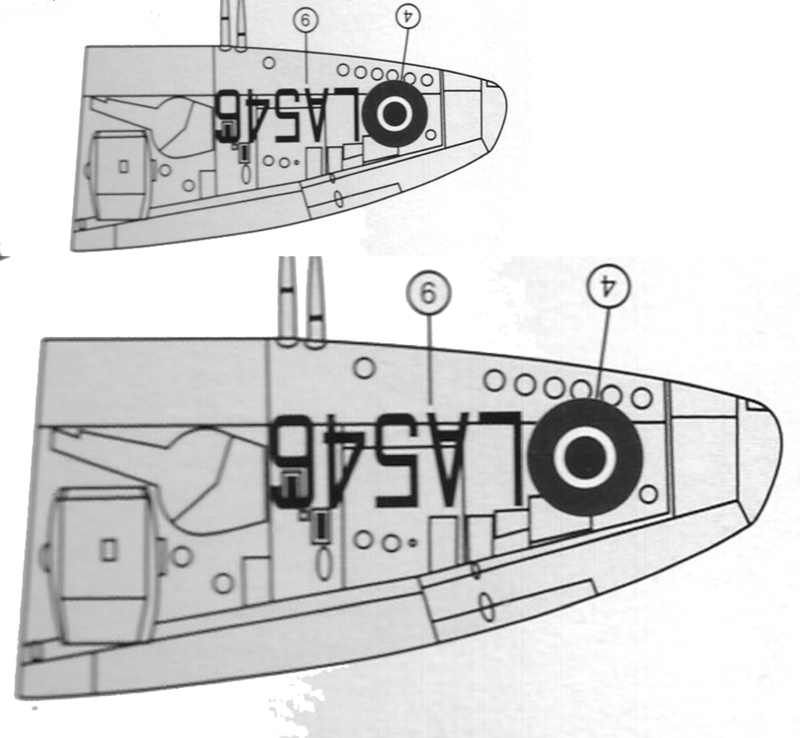 The COD was the final version of the Gannet and was just an slightly emptied out airframe for use as a communications aircraft - COD standing for Carrier Onboard Delivery. There are a few injection Gannets around - Frog, Trumpeter and Revell, but they are all either AS1/4s or T1/2. there is not an injection COD, nor is there an injection AEW3. My good friend Ken has persuaded me to have a go at both of these. As you know I have a soft spot for Gannets so I would like to have all 4 types in my FAA collection. I am currently working on the Admiral Seafire 46 which is coming on nicely but I need something in between paint coats. Here are a couple of pictures of the kit out of the box. As you can see, it is very nicely moulded and has very little flash. The moulding blocks on the fuselage are nicely handled. I haven't opened the other bags yet but I am assured that this will go together nicely. I have a bottle of Gator's Grip so I shouldn't need to use Super Glue for the main parts - Gator's Grip, masking tape and patience will be the order of the day. Oh, did I mention that I was not only supplied with the Gannet as a kind gesture, but also the wing fold! I was a bit concerned about this but the wing fold set comes with replacement wings so I don't have to do a cut and paste job, thank goodness. Must get the decals right though - unlike a famous one in the magazines. Having had such heart aches and trials over the Eduard Tempest, I sort of assumed that the Admiral Seafire 46 was going to be much the same. However, I am finding it great fun. Why is that? Firstly, it doesn't rely on lots of etched and resin for its details - what detail it has is all plastic - except for the seat belts. Secondly, the plastic is quite soft so sanding everything to fit isn't too big a chore. So, I have found myself spending hours putting together one of the smallest aircraft I have built since I did the two Salamanders. The plastic all needs a bit of clean up and fettling to fit but generally, as you can see, it makes it without filler - except for one wing join. The cockpit has come out quite well. However, the headrest didn't appear to be there in spite of being in the drawing, so I had to make one. For some time I thought I had lost the decals and was contemplating a Model Alliance set - almost the price of the kit, but I finally found them - in my tool box! Here is where we are to date. Well here we are - I thought I would never do it but it is finally finished. I have gone for pristine rather than weathered on the basis that it is fine like this and the potential for screwing up is great so I left it! Comments? Well, I didn't use much of the etched brass - the seat belts and the UC doors mainly. The resin cockpit was a complete waste of time. I didn't realise that there was a plastic one in the box or I would have used that - not that you can see anything of the cockpit, as my shot of the seat shows. I lost the tail wheel so I had to make one up. It came from the back end of the propeller shaft plus an unused piece of etched from the kit. It's a bit low but it is there so not to worry. The basis of the decoration is Pierre Clostermann, No. 3 Squadron, RAF Fassberg Germany July-August 1945. I really wanted to do Roland Beaumont but was scared off by the D-Day stripes. Now I know that I can do this without etched and resin, I will maybe have another go some time. My friend Ken put me on to this one. Cheap at £40 on Amazon but -Wow - what contents. 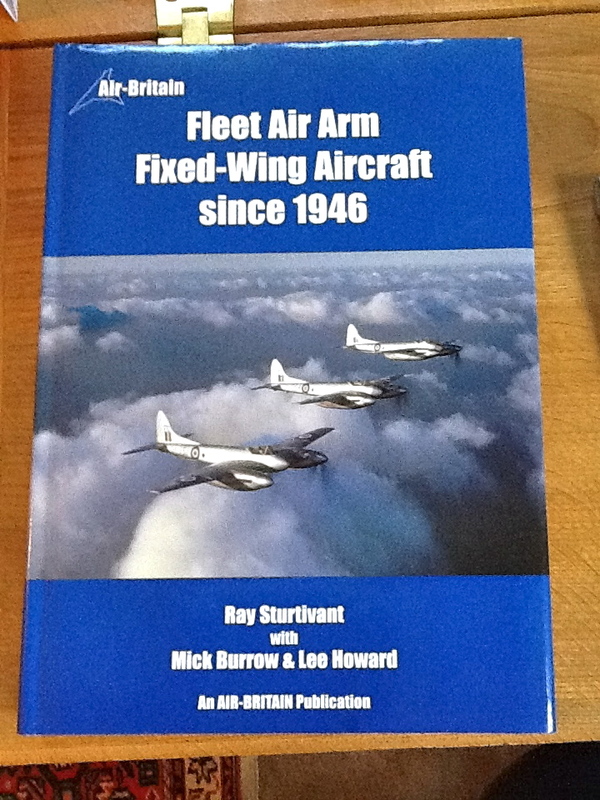 The book is "Fleet Air Arm Fixed-Wing Aircraft since 1946" by Ray Sturtivant. This book has 640 pages and covers every single aircraft that flew with the FAA - that's right - aircraft - NOT aircraft type! Every aircraft is listed under its FAA serial along with a description of all known activity. It doesn't show standard flights but does show any incident - from a wing hitting something on taxi through to complete write offs. It is loaded with black and white photos and has a colour section in the middle which gives basic colour layouts for most of the aircraft included. Lastly, it has a list at the back of every pilot that flew with the FAA with a listing of the aircraft flown. This has enabled me to finally track down what happened to my scouting friend - John Sillett. 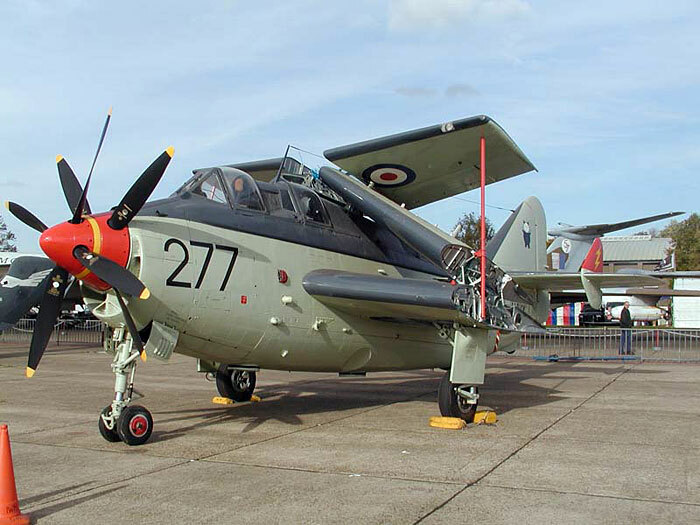 He is listed as flying the following aircraft - all AEW3 Gannets: XG786, XG885, XL450, XL473, XL482 and XL493. The incident that I remember John telling me about is listed as follows: "Night GCA approach, std engine failed, prop failed to feather, ditched port beam of Eagle near Singapore (Lt. JM Sillett & Lt. BM Jackson-Dooley unhurt). So now I know. Also, I was interested in the expression std (starboard) engine in an aircraft that looks as though it only has one engine. 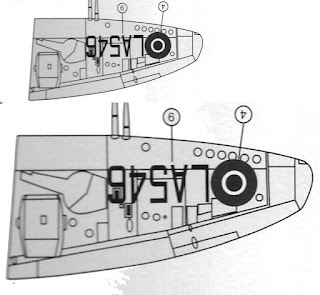 However, the 'Double Mamba' engine was arranged with two engines side by side driving contra-rotating propellers so it actually does have a starboard and a port engine! The book is not competition for the Ray Williams book mentioned in an earlier blog. That has much more detail about the aircraft type - but put together, I think I will be able to do a good job on the project. 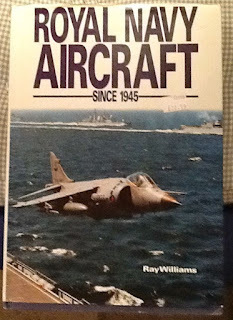 Incidentally, it lists 55 aircraft types, where the Ray Williams book only lists 44. I have listed out pretty much all of the aircraft that I can get and have been acquiring some of them in readyness - suddenly I have a stash! This is going to be some ride as I am moving out of my comfort zone in many ways with this. So many of the aircraft can only be found in 1/72 and so many of them are short run or even (don't say it too loud) resin kits! So I have to start somewhere, and in my enthusiasm, I have left the Lightning a little unfinished and the Eduard Tempest just needing a flat coat and the wheels + radio aerial fitted. I will sort that out tomorrow. The scalpel handle is marked in millimetres and centimetres so you can see the size! 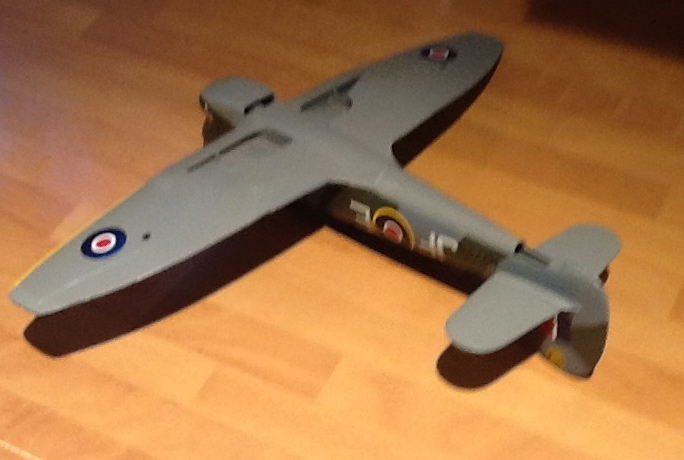 Next step is to fit it into the fuselage - now that might be fun. Some pics later if I get it done. Some years ago I put a list up on a newsgroup suggesting that it was the sum total of aircraft used by the Fleet Air Arm since 1945. I was quickly disabused of my ideas and given the real list - much longer. 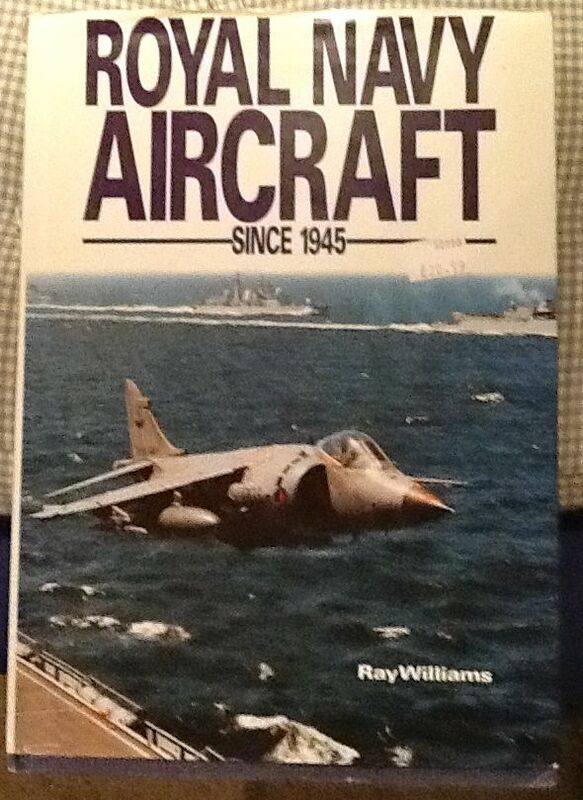 I then purchased 'Royal Navy Aircraft Since 1945' by Ray Williams. This lists 44 aircraft. I have gone through the list and have come up with all those that I can find as currently available in 1/72nd. I now propose to work through the list and end up with a definitive set of models. Here is the current list (with some gaps noted) along with their kit numbers and mask/decals required. I cannot believe that I cannot find any currently available kit for a Westland Whirlwind or Dragonfly helicopters - Kingkit, Kit Krazy, EBay - NOTHING!